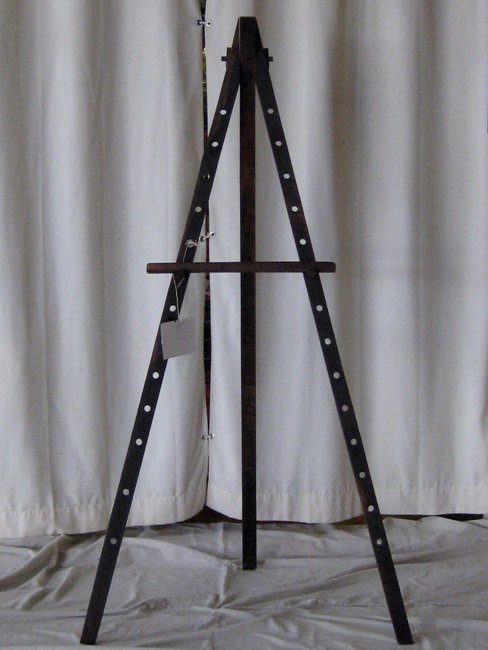 Use this adjustable walnut easel for painting or display. Rather than drill holes in a wall, galleries and art collectors often prefer to display artwork on easels to create an informal, work in progress feel. We think it is practical display solution and at home in any setting. The dowels and cross bar can be moved to adjust for different painting dimensions. Additional dowels and crossbars can be purchased from OGW to display multiple pieces of artwork on a single easel. 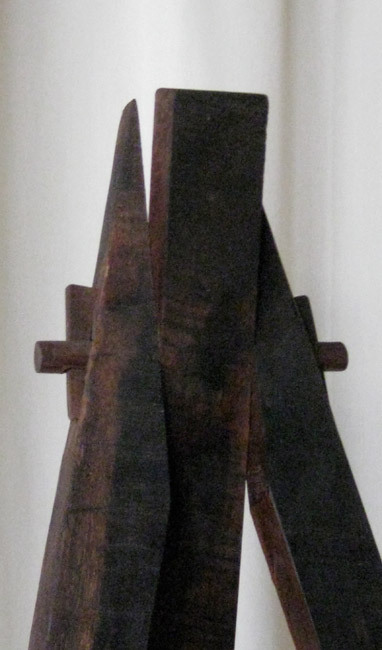 We can make this easel in other wood species and other designs. As always, we cherish the opportunity to work with you to create the piece that suits you.